Mariah Carey's lambs in South Africa must be just over the moon. 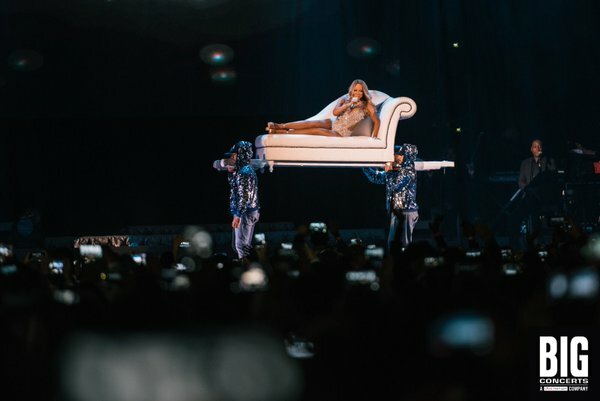 Mimi's Sweet Sweet Fantasy tour hit Mzansi just last night and based on the reviews I spotted on Twitter, people seemed to have LOVED the show. So FYI from the front row - @MariahCarey #SweetSweetFantasyTour #CapeTown was AMAZE. Her voice is still spectacular, her presence alluring. So sweet! I have to say, Mariah looks great. The Queen is back Hunty! The tour continues on over the next few days with stops in Johannesburg and Durban. Details here. Will you go to see Mimi in concert?